Definition of Oregon: Oregon is a northwestern state in the United States of America. Oregon is located in the Pacific Northwest of the United States. In 1859, it was admitted as the 33rd state. Oregon was also used early on as the name of the modern-day Columbia River. This name was used before Captain Robert Gray renamed the river following his discovery of the mouth of the river. 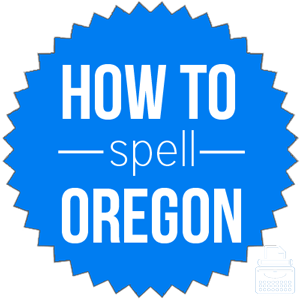 Pronunciation of Oregon: Oregon is pronounced or-e-gen.
What does Oregon mean? Oregon is a state in the United States that consists of the Coast and Cascade Ranges in the west and a plateau in the east. It is a noun—a proper noun—as it’s the name of a specific place. Oregon is abbreviated Oreg., Ore., and OR. The state is bordered by Washington to the north, Idaho to the east, and California and Nevada to the south. We drove from Vancouver down the Pacific coast through Oregon and California. Until that day, I had never visited Oregon, let alone its capital city, Salem. Less commonly known, Oregon is also the name of a city in northwestern Ohio, another state in the U.S.
As we drove through Ohio, we came upon a small city called Oregon with a population of about 20,000. When he told me that he was from Oregon, I thought he meant the state of Oregon, not Oregon, Ohio. Oregon was first recorded between 1870 and 1875. As of 1765, Oregon was the name of a large river in the west, which is now called the Columbia River. By 1848, it was the name of U.S. territory. Since it is the name of a specific place, and thus a proper noun, there are no synonyms for this word. Oregon is a state in the northwestern United States of America that borders the Pacific Ocean. As it is the name of a place, it is a proper noun. Prior to being the name of a state, it was the name of the modern-day Columbia River.